The Develop 100 will return in December for its tenth anniversary – and will rank the best studios from around the world. This time, we’re building our own ranking system based on three key criteria: revenues raised; review scores and quality; and reputation amongst the the industry. Over the next month, we’ll be building this list out using quantifiable data from partners, our own industry analysis, plus feedback from games studios around the world. This also makes sure we can make a truly cross-platform (and cross-distribution) list, taking in physical and digital activity across console, PC and mobile. 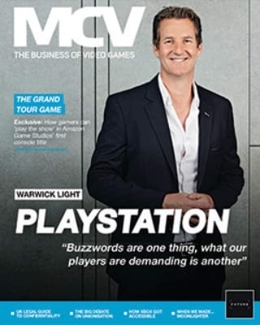 The Develop 100 was first published in 2005 and is the ultimate ranking of the top 100 games studios on the planet, and an excellent barometer of industry trends and insight. Since then it has graded and ranked studios around the world based on a variety of metrics and covering different territories and sectors. 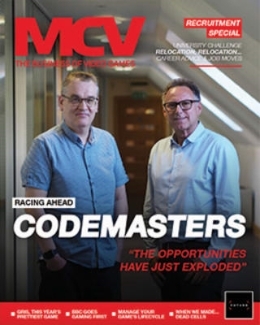 For 2015, the list goes back to basics – and will also return to print for the first time since 2011, printed in the December issue of Develop and supported with an extensive online and digital campaign. Want to make sure your studio is in the running? We’ve outlined exactly how we’re building the list below – and ways you can supply content. The Develop 100 also represents an excellent opportunity to raise the profile of your studio (whether they are in the listing or not), your brand or service firm. The Develop 100 is a must-read publication read and kept by execs the world over. Don’t miss out on a chance to be a part of it: email Charlotte Nangle on cnangle@nbmedia.com or Jennie Lane on jlane@nbmedia.com or call them on 01992 535 647 to find out more. 1. The process begins with today’s call for entries. If you or your studio or employer released a game in the last year or are releasing a game in the next month (eligibility period is September 2014 through to August 2015) you are more than welcome to give us further details to flesh out our master list of studio to consider. 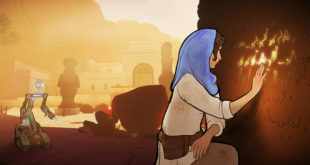 We’re already fleshing out our database of games released in the last year and the studios who made them – but any extra detail straight from the source is much appreciated. You’re also welcome to supply us any commercial successes, review score glory or highlights that would increase your standing in this ranking. What’s that you cry? ‘I am an employee of a large games firm and while I want to nudge you we have confidentiality issues and I’m not allowed to share data’. That’s ok, we’re using our own researchers and data partners for the nitty gritty, so we don’t expect everyone to be able to supply information. We’ll accept anonymous reminders to make sure we don’t forget anyone. It’s really, really easy. Alternatively, email something to develop100@nbmedia.com. 2. As we build out this list of potential candidates from the last year, we’ll also be hard at work with our own research and data partners to build some core metrics about revenue, critical success and overall industry standing. Some of this will be chart data – a mix of it publicly available and specially-commissioned data. 3. Once all that is in, from October 1st we will be crunching all the data together to build our our top 100. Then we’ll start writing profiles and finalising the list. 4. 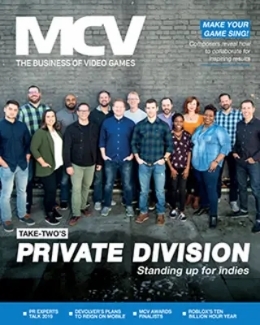 The Develop 100 will be published on in the December issue of Develop, and promoted online through Develop’s website and via sister title MCV. Next Opinion: Who will make the next Rocket League?